Bus accidents differ from common car accidents in some important ways. According to data from the Federal Motor Safety Carrier Safety Administration, 35,000 people were injured in bus accidents nationwide in 2016 (the most recent year for which the data is available). In Arizona, buses are a common mode of transportation. This is, after all, the Grand Canyon State and tour buses seem as commonplace as sunshine and cacti. It’s perhaps no surprise then that Arizona has had its share of bus accidents. In 2017, there were 269 crashes involving buses, 9 of which included at least 1 fatality. Bus passengers and drivers in Arizona can pursue damages after a bus accident by filing an insurance claim or a personal injury lawsuit. Below we’ll explore some of the most common bus accident injuries, the damages that may be recoverable, and some unique limitations and procedural rules you need to be aware of if you’re planning on making a claim or filing a lawsuit after a bus accident. The laws and regulations, as well as the method of recovery, differ depending on the type of bus involved in the accident. Whenever a bus accident occurs, a personal injury or wrongful death claim can be made by either the passengers on the bus or any motorist involved in the accident. In addition, pedestrians may have a personal injury claim should they be injured at a bus station or bus stop. In those cases, premises liability laws apply. Due to the large size of buses and the low speed at which they generally travel, serious injuries and fatalities are rare. On the other hand, the fact that buses are generally not equipped with seatbelts and rollovers are more common than with smaller vehicles, means that injuries certainly can happen when an accident does occur. Arizona awards both economic and non-economic damages. “Economic damages” refer to monetary losses resulting from an accident. “Non-economic damages” refer to losses that don’t have a clear dollar value. In addition, Arizona awards punitive damages in rare cases. Punitive damages are meant to punish the defendant and are awarded when a defendant’s behavior was willful or particularly outrageous. While some states enforce damage caps, Arizona doesn’t cap personal injury damages in most cases. However, there’s an important exception to this general rule that may be applicable to your bus accident. Under Arizona statute, public entities and employees are immune from punitive damages. This means that neither a public entity nor a public employee acting within the scope of their employment can be held liable for punitive damages. In Arizona, public entities and employees are immune from punitive damages. In addition to having the option of filing a personal injury lawsuit, bus drivers who are injured in an accident may have the option of filing a workers’ compensation claim. 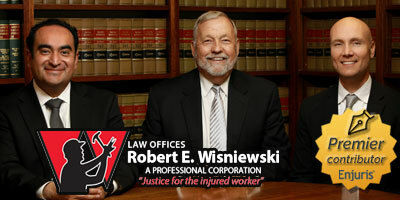 In Arizona, workers’ compensation is a “no-fault” insurance system. This means that valid claims are paid regardless of who’s to blame for the accident. In other words, even if the bus driver is responsible for causing the accident, the bus driver can still receive workers’ compensation benefits so long as the accident wasn’t intentional. Enjuris tip: An Arizona attorney with experience in bus accidents can help you calculate how much you could receive in your case. But, if you want to get a rough idea, take a look at our article on calculating damages in a personal injury case. In Arizona, plaintiffs only have a certain amount of time to file a personal injury lawsuit. This time limit is decided by the statute of limitations. Generally, the statute of limitations for filing a personal injury lawsuit is 2 years in Arizona. In the case of a bus accident, if the crash is caused by another vehicle, you as a passenger can make a third-party claim with the at-fault driver’s insurance company or sue the at-fault driver. The statute of limitations for this is 2 years. However, if the crash is caused by the bus driver, things become a little more complicated. Many buses are owned by public entities and many bus drivers are public employees. For example, a metro transit bus may be owned by the city and the bus driver may be a public employee. However, it’s also possible that the city hired a private company to run the buses and the bus driver is actually a private employee. The reason this matters is that the statute of limitation for public entities and public employees is only 1 year. On top of that, you have to file a notice of claim with the appropriate public department within 180 days of the accident. Determining who’s liable for a bus accident can be especially difficult. An experienced Arizona attorney can help you determine who’s at fault and can make sure you meet all the required deadlines.